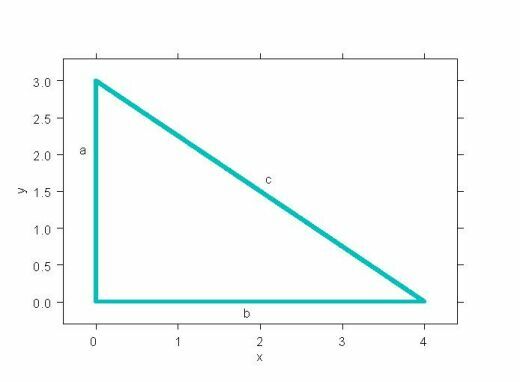 The Pythagorean theorem says that if you have a right-angle triangle, the square of the hypotenuse (that's the side opposite the right angle) equals the sum of the squares of the other two sides. To find the length of c, all we do is take the square root of both sides. In this case, c = 5.